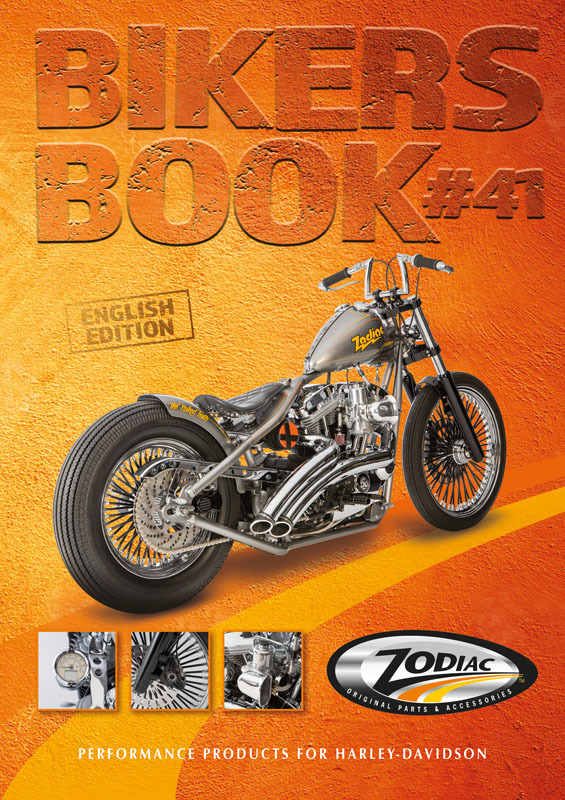 This brand new Issue 41 of the Zodiac Bikers Book contains more parts and more pages than ever before. It features over 34,000 part numbers that are printed in full color with clear descriptions on more than 1,600 pages! 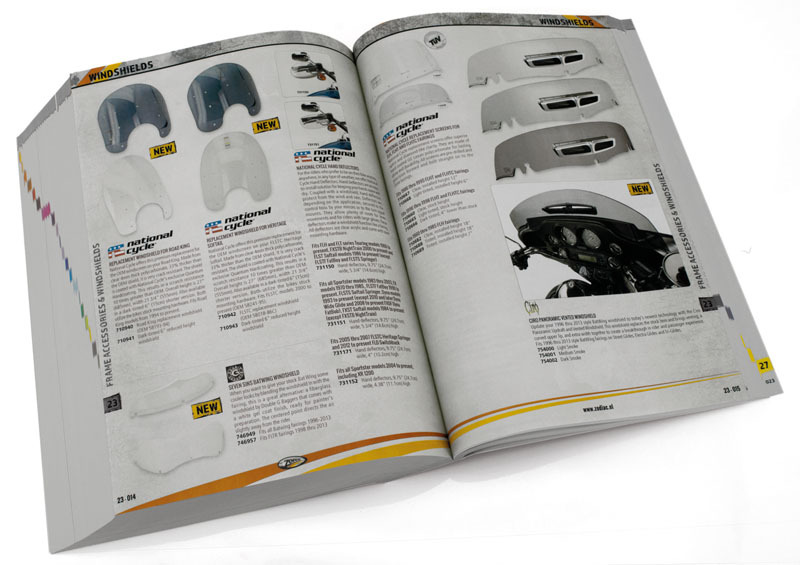 • Performance parts for Sportster, Big Twin, Twin Cam, and even the Milwaukee Eight models from S&S Cycle, Freedom Performance Exhaust, ThunderMax, Jims, Kibblewhite Precision Machining, SuperTrapp/Kerker, Mikuni and many others. 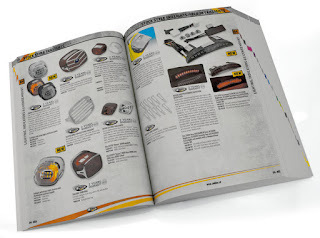 • All the new parts and accessories from iconic brands like Arlen Ness, Biltwell, Kustom Tech, Le Pera, Performance Machine, Roland Sands Design to name a few. Plus thousands of other new and exciting products. 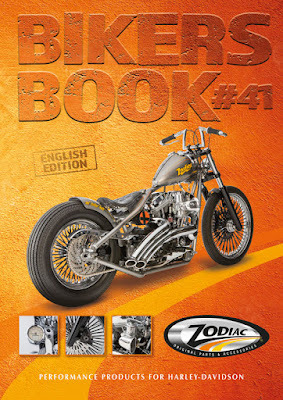 This 41th Edition Zodiac Bikers Book is available in English, German, French, Italian, and Spanish. It will be released at the Big Twin Bike Show in Houten, The Netherlands (November 4-6, 2016) and can also be obtained at more than 2,500 Zodiac dealers across Europe for just Euro 9.95. It can also be ordered thru the Zodiac web site at www.zodiac.nl for Euro 9.95 + Postage. affordable health insurance plans reviews After examine a few of the weblog posts on your website now, and I really like your approach of blogging. I bookmarked it to my bookmark web site list and can be checking again soon. Pls check out my website as effectively and let me know what you think.